Our Semi Extensible Kraft Paper is widely used for the Corrugation, Manufacturing of corrugated boxes and various other purposes. 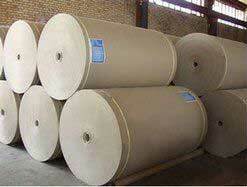 We have carved a niche as one of the prime Semi Extensible Sack Kraft Paper Exporters in India. Almost 65% of our production of Semi Kraft Paper is consumed by automatic 3 Ply & 5 Ply Corrugated Box manufacturing Industries.